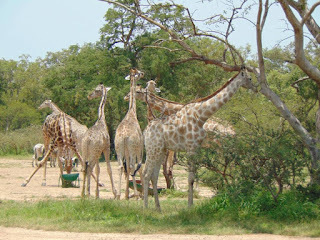 Yankari Games Reserve : The Yankari Games Reserve is more or less the largest games reserve in Nigeria. 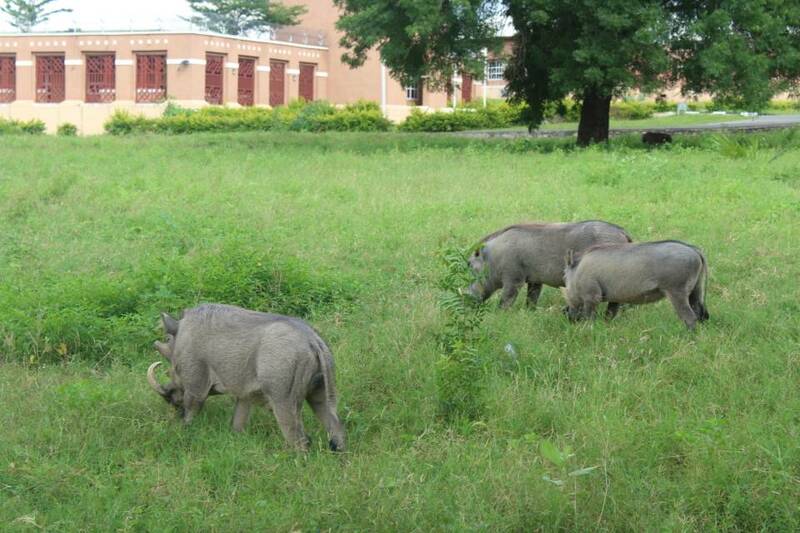 It covers about 2,244 sq km of land and located nearly 225 km east of Jos city in Plateau State. 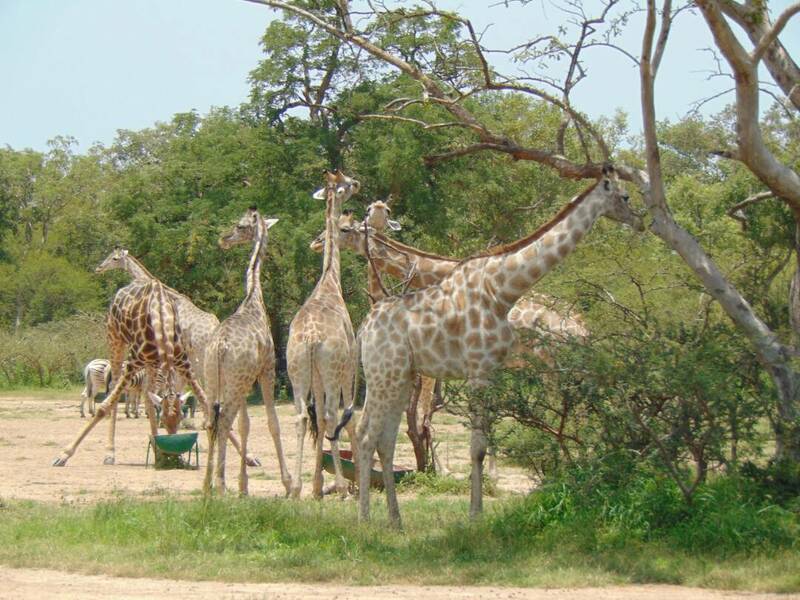 Yankari is the most developed wildlife park in the country with over 250 species of flora and fauna. 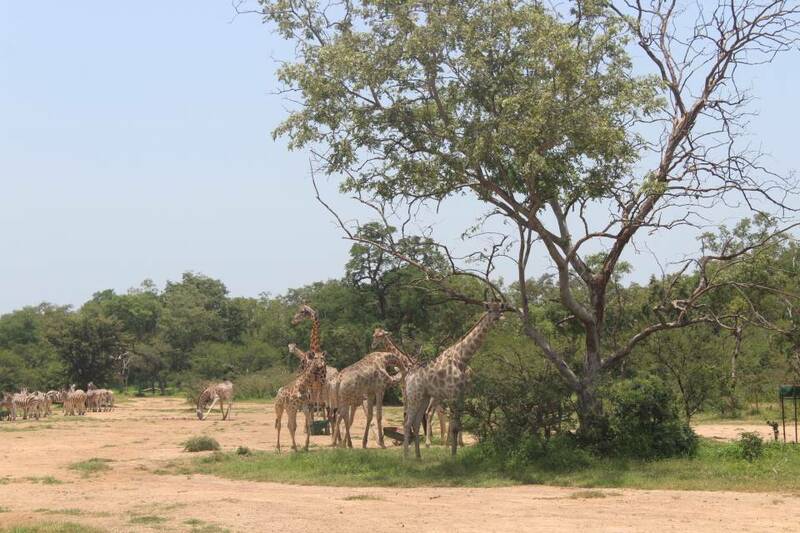 With over 550 elephant population among other fascinating animals and birds, the wildlife is best seen between November and May when they come to the Gaji River for a drink. The beauty and size of The Yankari Game Reserve makes it the most popular reserve in Nigeria. 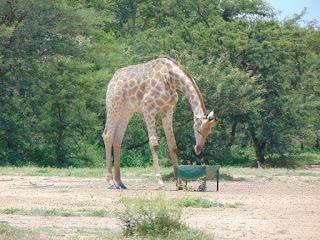 Set up in 1956 and opened to the public in 1962, the main game-viewing areas of the reserve are open all year round. 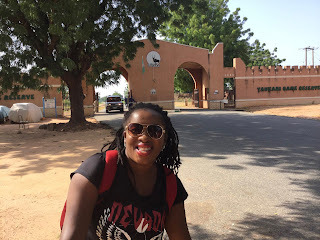 Getting there You can travel by road from Abuja to Jos, where you make an overnight stop; if you like or travel all through to Bauchi in one day, as it is a 1-day journey by car over well-maintained roads. 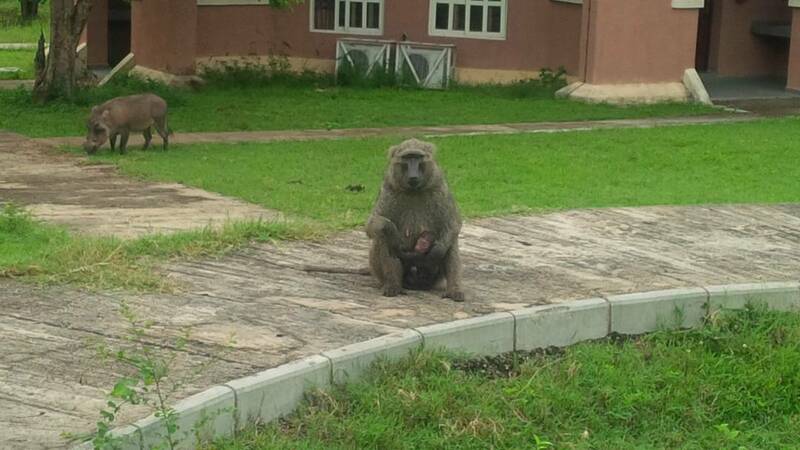 It is advisable to get your beverages and fruits from Jos before heading out to Bauchi. Although there is just one restaurant in the reserve. The basic accommodation consists of chalets or rondavels. Suites, double rooms and family chalets that include small kitchens are also available and they are affordable. 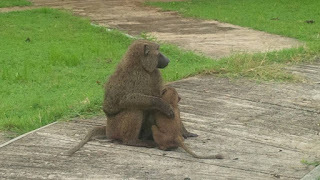 Although it is advisable to book a room before getting there.The networks that really work there are MTN and Airtel. Bauchi State has a population of about 5 million people, and is bordered by seven states: Kano and Jigawa to the north, Taraba and Plateau to the south, Gombe and Yobe to the east and Kaduna to the west. Yankari National Wildlife Reserve is located in Bauchi State, in northeastern Nigeria. 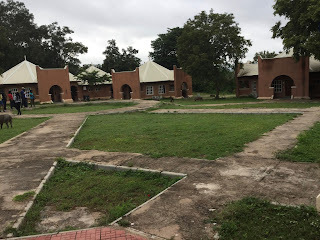 The provincial capital and main city of the state is also called Bauchi and also recommended for supplies, a last restaurant meal, and local architecture. 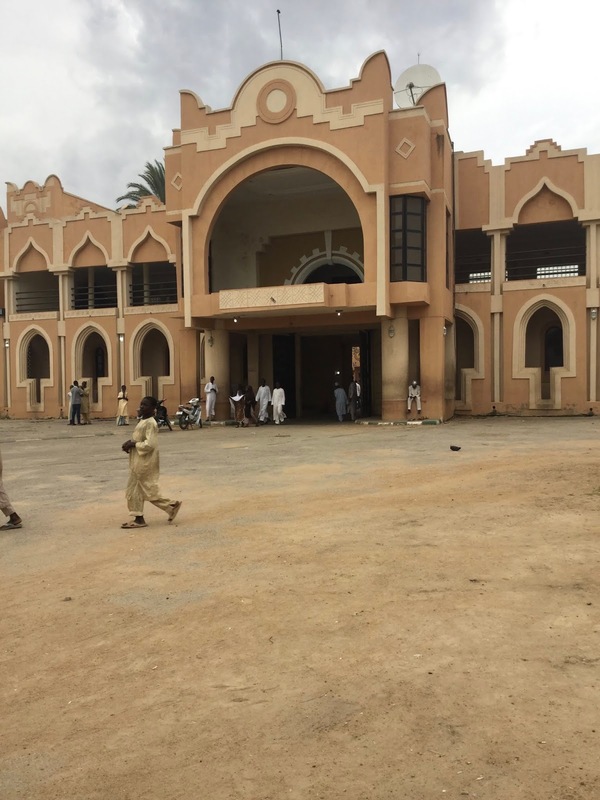 Prior to Nigeria’s independence in 1960, Bauchi used to be part of the North-Eastern State, along with Borno and Adamawa provinces. 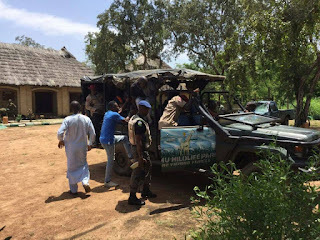 Bauchi state’s current borders date to 1976, although Gombe State was carved out of it as recently as 1997. Bauchi is known as a relatively safe haven in northern Nigeria, with better roads than those of neighboring Jos, and welcoming people. The name of the state comes from the tale of a popular hunter known as Baushe, who settled in the region before the arrival of Yakubu, the first traditional ruler of the Bauchi emirate, founded between 1800-1810. 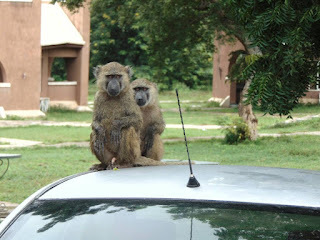 Bauchi in Hausa also means land of freedom and tourism. The Bauchi Emir's Palace is known as the “Home of Peace and Hospitality” and it is possible to request to meet the Emir or at least members of his family and staff if one inquires ahead of time. The palace is open during the day and possesses a unique and charming façade of painted weapons, from bows and arrows to AK-47s worked into the surface. 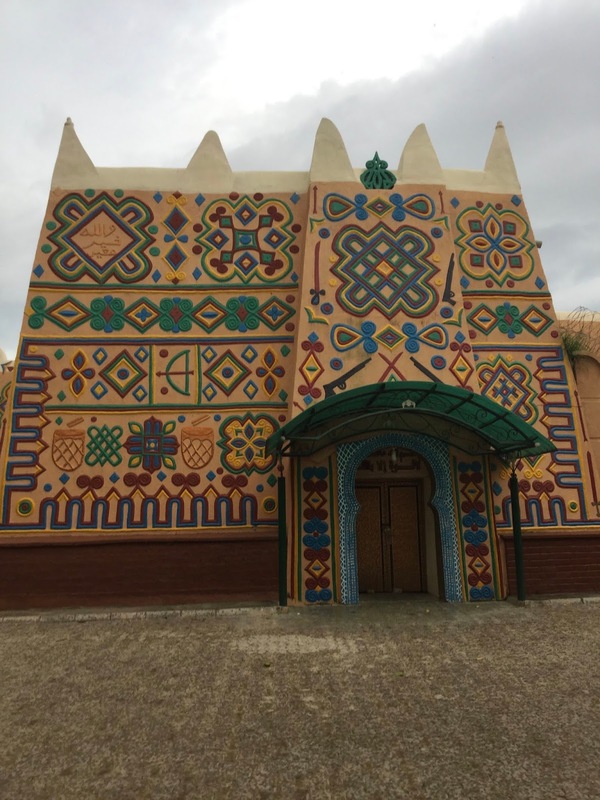 It is important to pay homage to the Emir's palace if you are in Bauchi, so visitors are both welcomed and expected. When our tour group ( motley travels.org) arrived the Emir was himself traveling, but we were attended to by his chief of staff and given a tour around the beautiful palace and neighboring mosque before continuing on our way to Yankari. 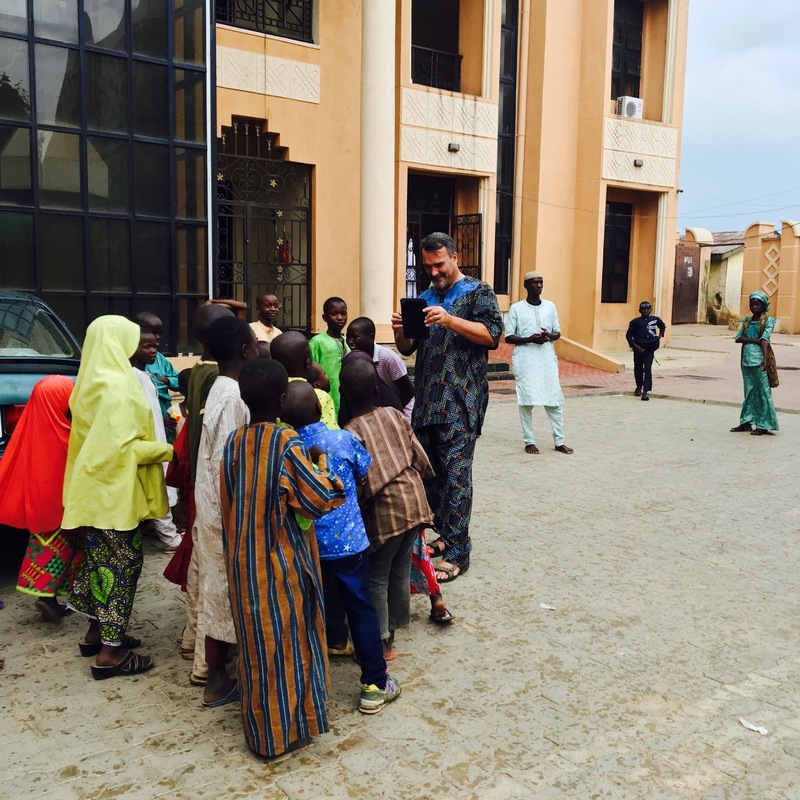 The Emir’s staff was kind and patient, and the local kids cheerful and happy to pose for photos. I would recommend motley travels.org for group tours as they are well organized, they provide clean air-conditioned buses, Police and road safety escorts and even food. If you use their services, you wouldn't have to go through the hassle of booking accommodation yourself. Plus it was fun making new friends through Motley. We went as strangers and returned as friends. 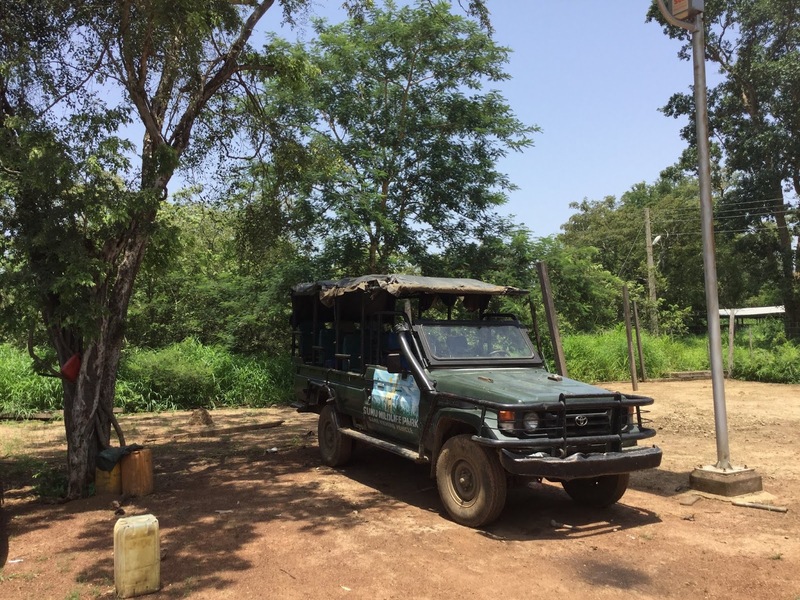 Once we got back on the buses and continued on our way it was another hour or two on smooth roads, much of it within the nature reserve, before we arrived at our accommodations within Yankari. 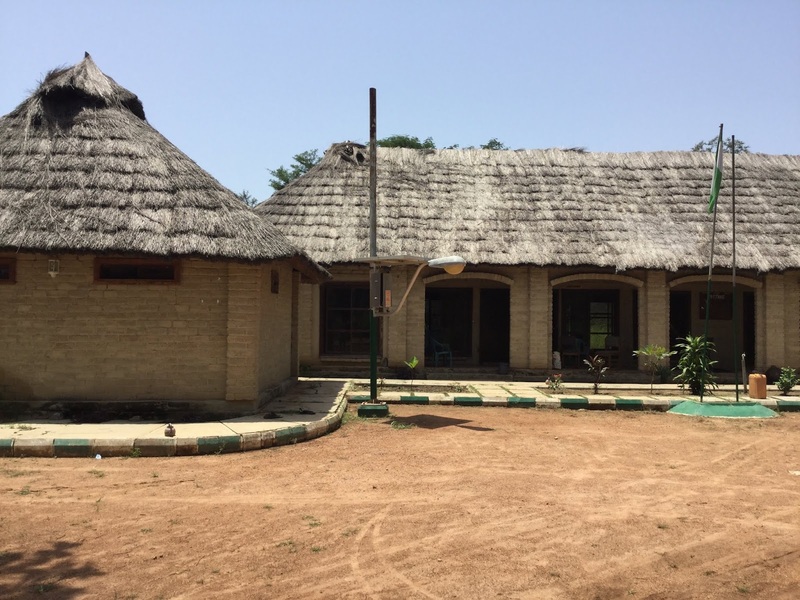 Our group stayed at the more modest chalets, with a bedroom, separate bath, and a covered porch with grills and sinks for cooking and washing dishes. More luxurious choices of small apartments, and even the opulent presidential suite were nearby, but our small bedroom suite our needs perfectly. 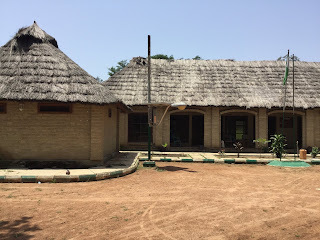 Internet service was not available at the time and we were out of all but MTN’ and Airtel phone range, so our nights were undisturbed by modern concerns. 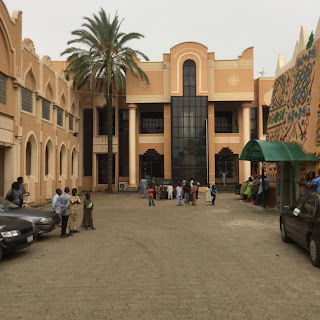 Restaurant: The restaurant suffers from high prices, especially compared to Bauchi's markets. Buy ingredients while in Jos or Bauchi for a few meals, either for casual snacking or meat and side dishes for grilling. The atmosphere is good for drinks after dinner however, with comfortable seats and dim lights. 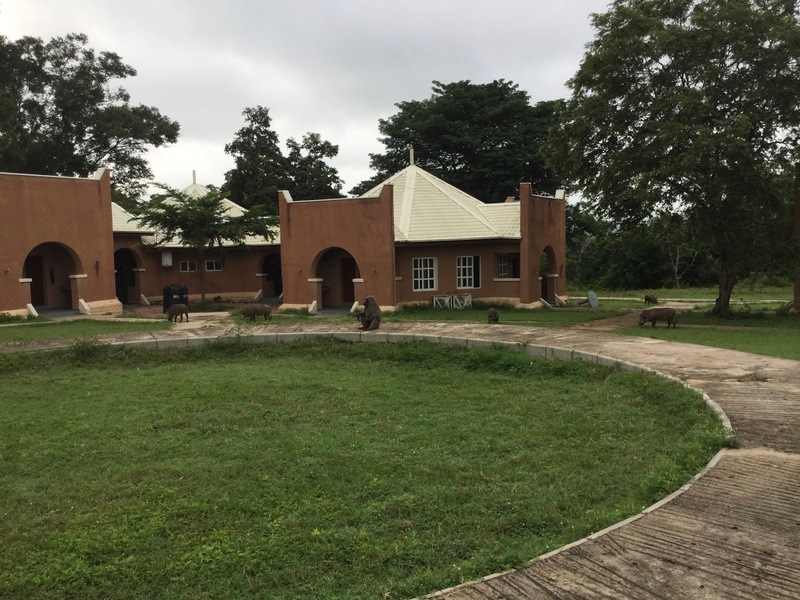 It would be a perfect place place to work offline or using a hotspot (MTN or Airtel for best reception). Plan on the distance making offline work more practical, as service can be a hit or miss this far into the reservation. A good bottle of whiskey or whatever poison one prefers and a few glasses would be the best excuse to hang out at the restaurant. Bring your own drinks as alcoholic drinks are not sold there and tip the staff to provide the glasses. They are somewhat surly tip them well and you'll be fine. 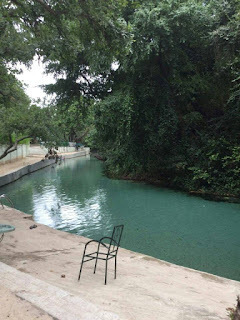 Yankari Park and Wikki Warm Springs are located around the Gagi River, approximately one and a half hours by road, southeast of Bauchi Town. 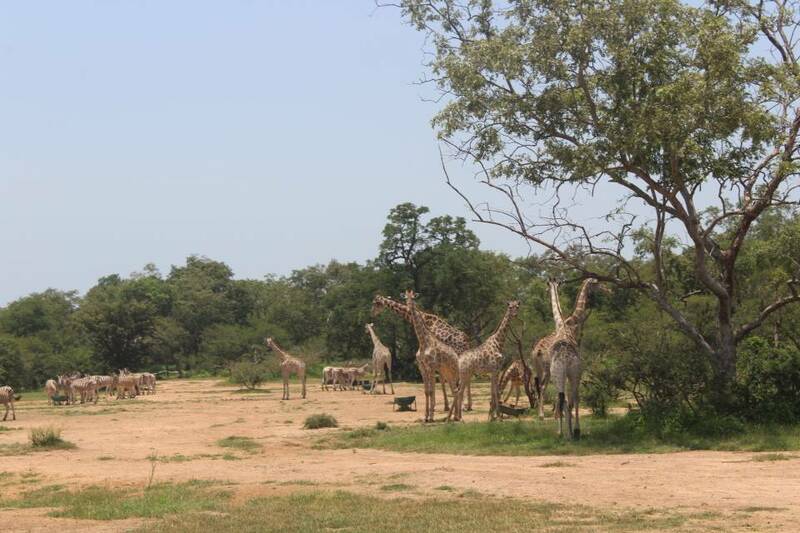 Japanese, Western Europeans, Americans and Southeast Asian tourists visit this park in abundance. The reserve covers 2,058 sq. km. 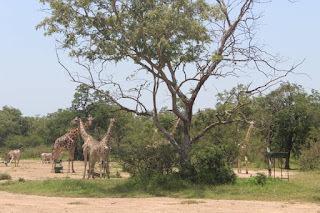 of savanna woodland and is well-stocked with elephants, baboons, waterbucks, bushbucks, oribi, crocodile, hippopotamus, roan antelope, buffalo and various types of monkeys. 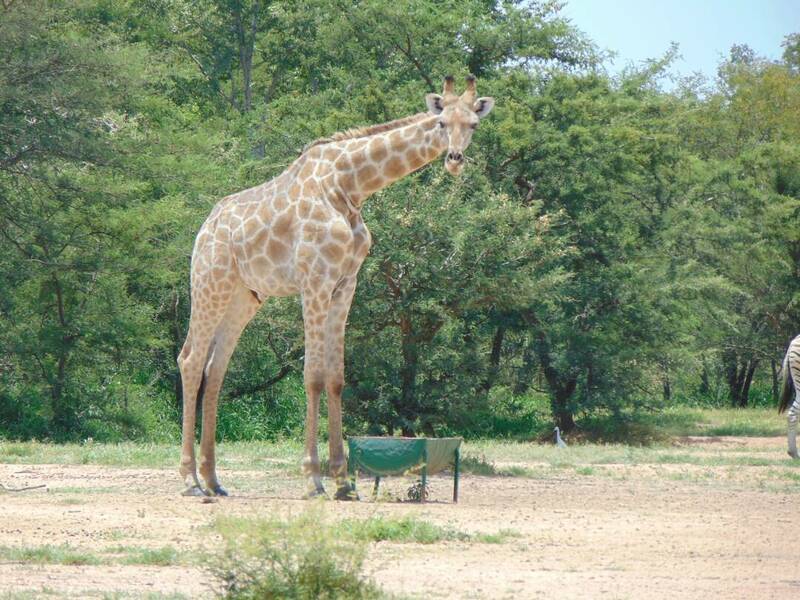 Lions are occasionally spotted as well, despite their natural camouflage. 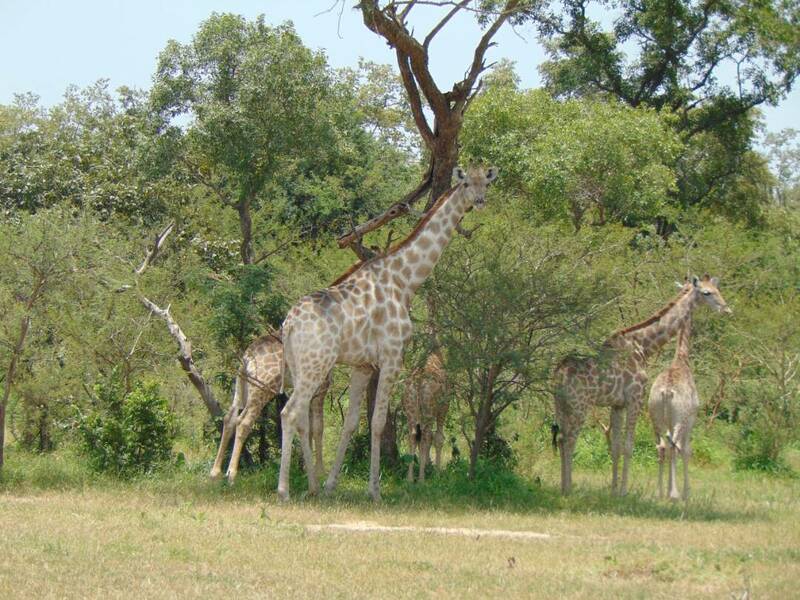 The best time to visit is between November and May when tourists are likely to see more game since the dense vegetation has dried out and the animals congregate around the rivers. The park is inhabited by a variety of birds, including the huge saddlebill stork, goliath heron, bateleur eagle, vultures, kingfishers, bee-eaters and more. It is excellent for serious bird-watchers. For all nature lovers, this a great tourist attraction. If you will be going by air, there are no direct flights to the reserve, but Overland airline operates with flights from Nnamdi Azikiwe International airport to Abubakar Tafawa Balewa international airport Bauchi. 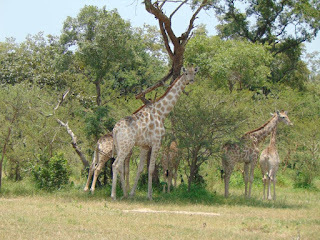 From the airport you can get cabs or bus shuttles to the reserve which takes almost two hours. As for electricity, during the day the generator is turned off and turned back on by 6pm. 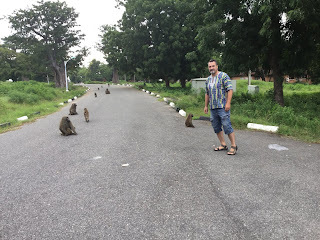 Most tourist are always out and about during the day and return about the time the generator is turned on. 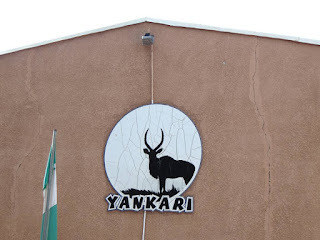 There are many things to do at Yankari. 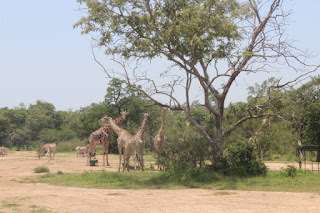 Exploring the Safari is a delightful experience, it is advisable to visit during the dry season as you will have a better chance of seeing a wider range of the animals. You need not go far before you begin to see some of these animals around the accommodation. 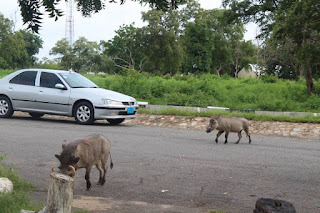 They are the waterbucks, Warthogs and baboons. Do not leave your door or window open as the baboons would come in to steal your food. 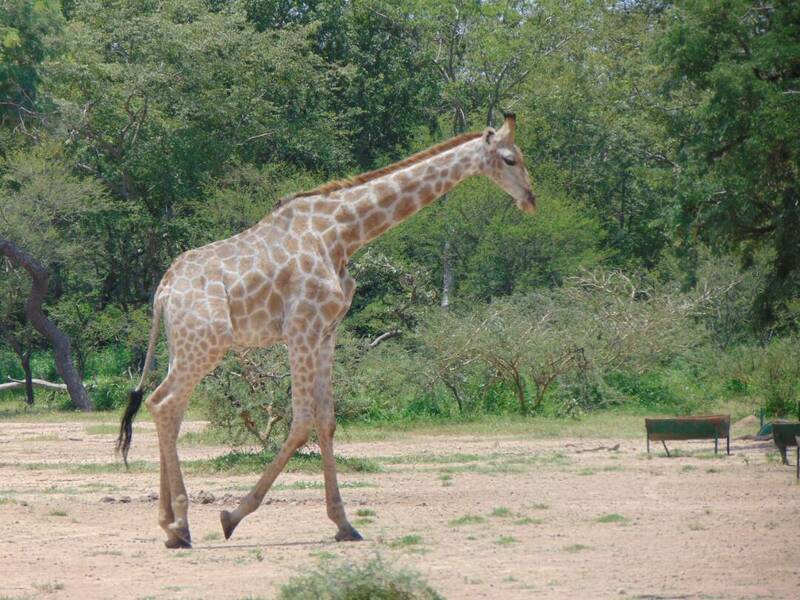 The animals that are left to roam around aren't dangerous , the dangerous ones are far off from human contact. Apart from bird watching or the animals, there are also caves called the Marshall caves that are said to have been used by the early men. 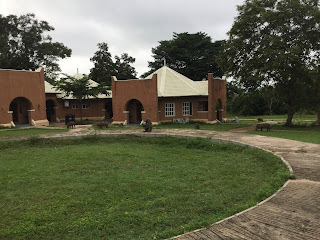 There is also a mini museum to explore, and the Tunga Dutse rock has more elaborate engravings than the Marshall caves, and the age of this engravings is unknown. You can also explore the Shau shau Iron smelting and dukkey wells. 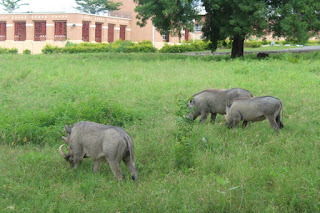 Other Attractions Other places of interest in Bauchi State include the Panshanu stone heaps (Kwandon Kaya) in Toro Local Government; Lame/Burra Game Reserve; first mining beacon in Nigeria located at Tilden Fulani in Toro Local Government; Babban Gwani at Kafin Madaki in Ganjuwa Local Government; Shadawanka rock paintings located in Bauchi Local Government; Geji rock paintings located in Toro Local Government; Shira rock paintings (Dutsen Damisa) located in Shira Local Government; and Sir Abubakar Tafawa Balewa’s (first Prime Minister of Nigeria) Tomb Monument. 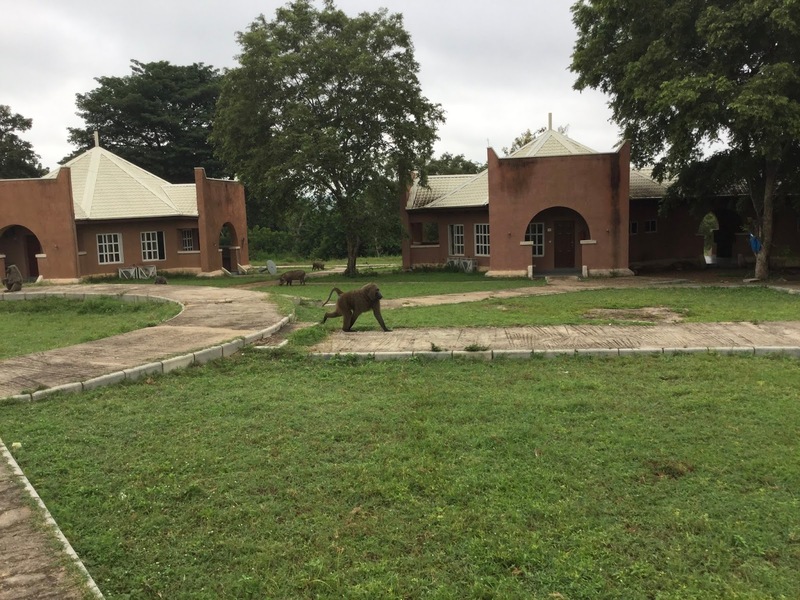 Wikki Warm Springs ; The Wikki warm springs is located within the Yankari reserve and a park for all tourists to visit. It is about 200 meters long and 10 meters wide with crystal-clear warm water with a temperature of about 31 degree Celsius. 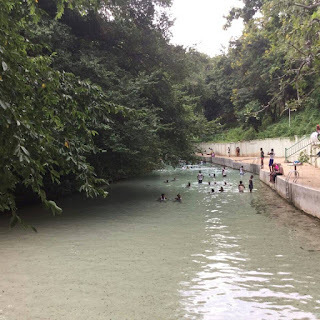 The natural springs is the reason many tourists visit the reserve, and the springs park is usually lit up in the evenings for visitors to savor its freshness. The spring is just down the hill from the restaurant and are the main reason to visit the park. Animals come and go, as do the light:be prepared with torches. If there is a mantra for vacationing at Yankari, it is to be prepared, but these days every Nigerian is in touch with provide for yourself if you want what you want. All this said nothing can erase the joy of the warm water that flows from the earth just a couple of football pitches from where the cement stairs end, and then into a clay cliff. The quarter mile or so of knee to chest deep stream in between is warm, clear as polished glass, with a slight tint that changes from aquamarine in the morning and evenings to jade at midday. Swimmers can dive in the final stretch before the cliff swallows the waters, but even children can wade the shallows upstream. 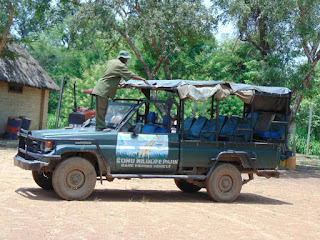 The Wikki warm springs is one of the best features of the game reserves. Flood lit night, it is wonderful after a hot day's game viewing to relax and soak in the warm water, the Spring gushes out from under a cliff, where the water is at least 6 feet deep, with a bathing area that extends for 600 feet to an open area. It is one of the reasons some people visit Yankari. There are four other springs in Yankari, they are Dimmil, Gwan, Nawulg and Tungan Naliki spring. The others are all warm springs except for the Tungan Naliki spring which is quite cool. The warm springs are are as a result of the under ground geothermal activity. 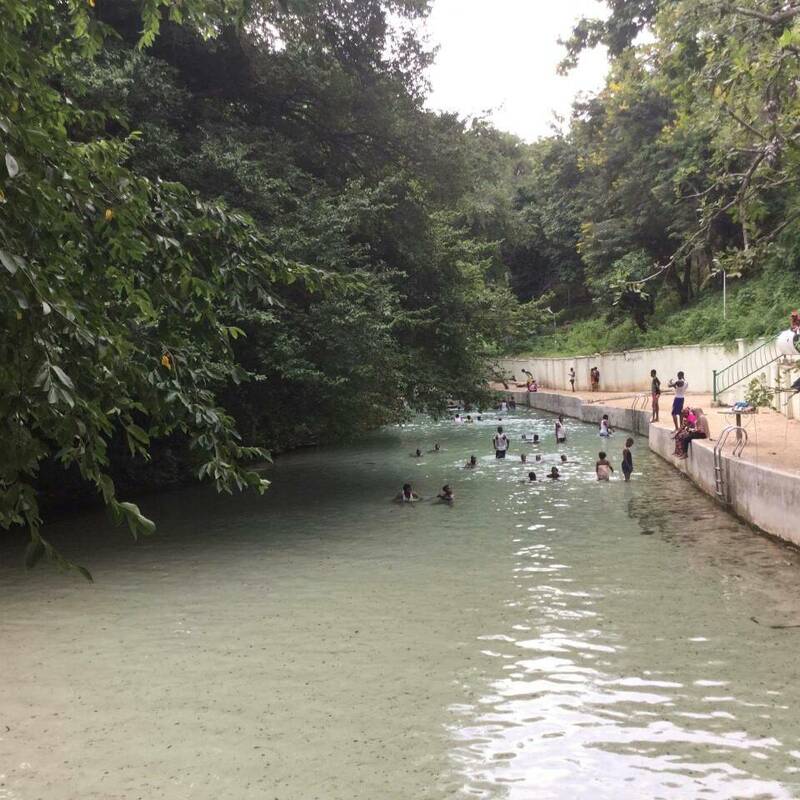 The Wikki spring is the most popular of all the springs and that is the one most tourists know. In fact I did not know about the other springs the time I went there. 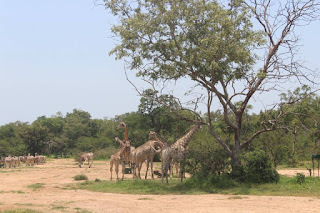 Sumu wildlife: A game reserve located in the heart of Lame Burra Game reserve Bauchi State. It was created in 2006. 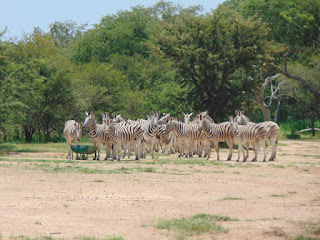 It is the home of Zebras, Giraffes, wildebeests, Impalas, monkeys and other herbivores. 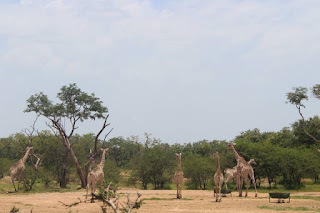 Some of the animals were imported from Namibia, but there are animals indigenous to Sumu such as guinea fowls, monkeys, rabbits, squirrels and small antelopes. The animals in Sumu wild life park are not found in Yankari. 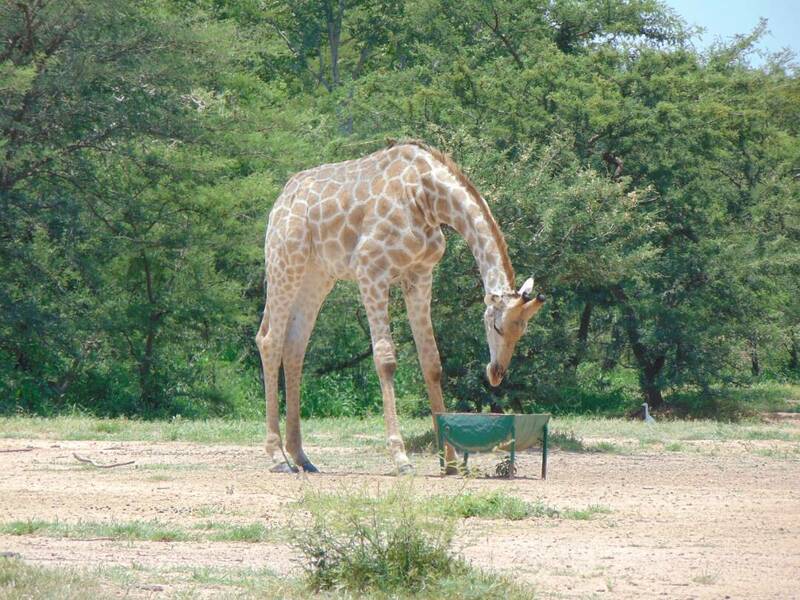 And they are fed on schedule, so that visitors can see them. Enough publicity has not been made about Sumu wildlife, I did not know about it until I went there and it is still underdeveloped. 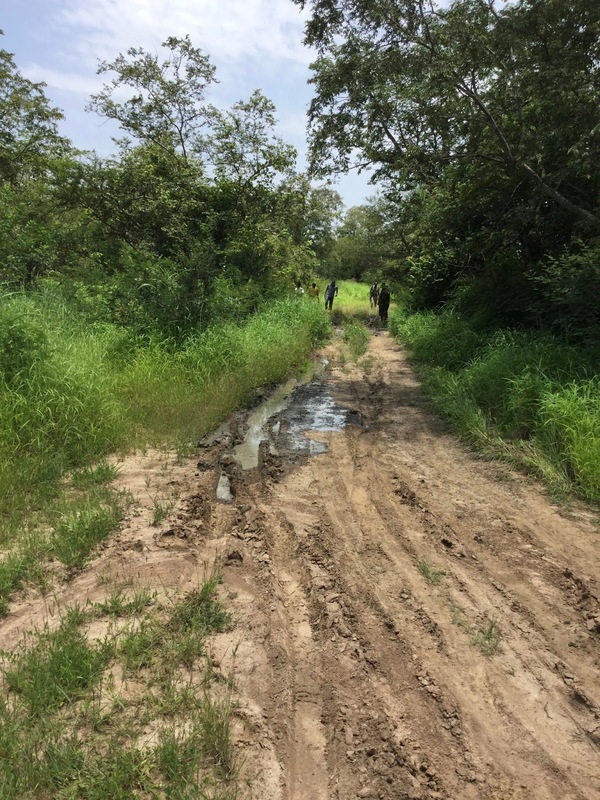 The road that leads to Sumu needs attention. As at when we were there, only one vehicle was working, and this vehicle sits only about ten people including the rangers. We were more than ten, we had to split ourselves in two groups to be able to go for the viewing. 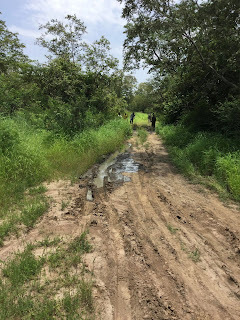 The roads to the viewing of animals need to be fixed and paved for easy driving, we however got stuck on the muddy road, a few of us had to step down from the vehicle to allow easy passage for the driver and then we got back in again. 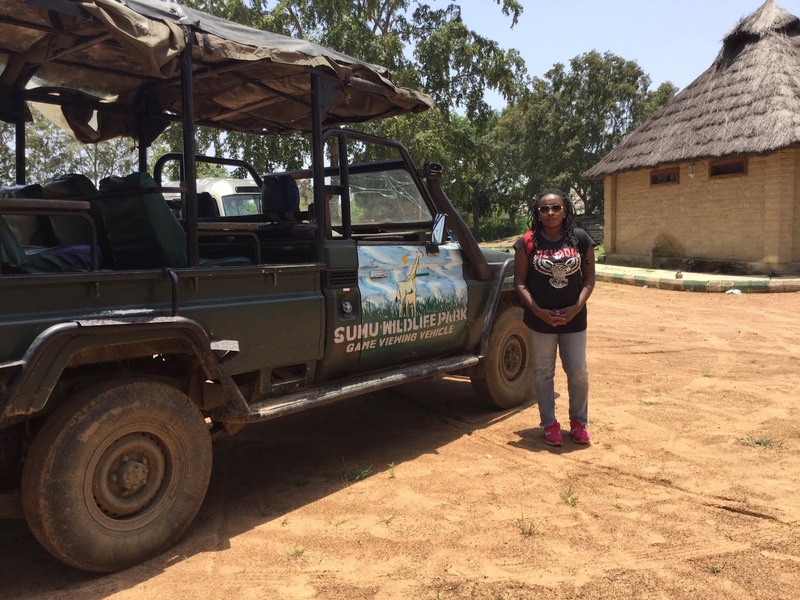 Sumu does need a lot of investment. This is a potential money making venture if only it will get more care and maintenance. 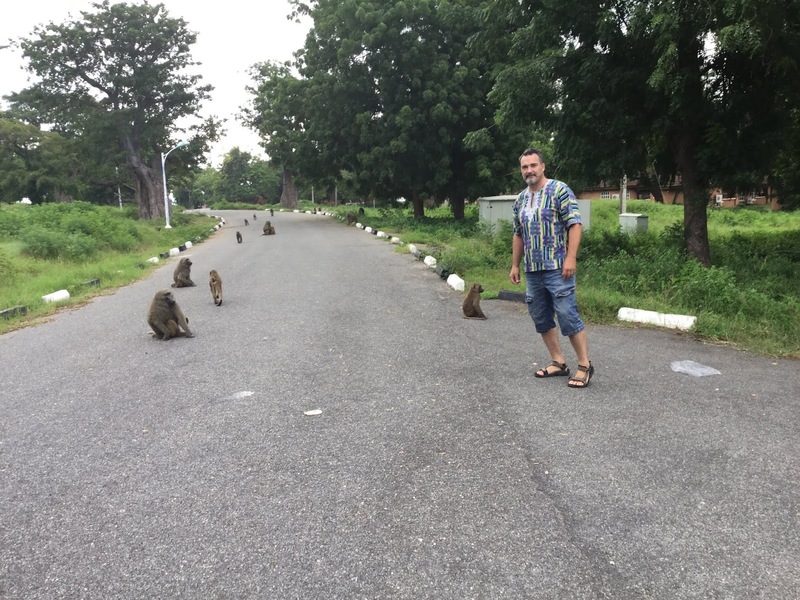 There are no restrooms in Sumu and no sitting areas for tourists as well. 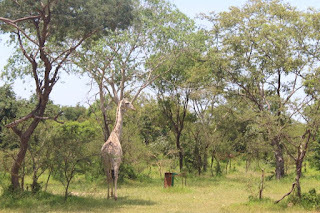 It will be a great idea if restrooms, restaurants and even accommodations are provided around Sumu wild life. It took us about three and a half hours drive from the Yankari games to get to Sumu wild life. There is so much to be done to improve Sumu wild life. 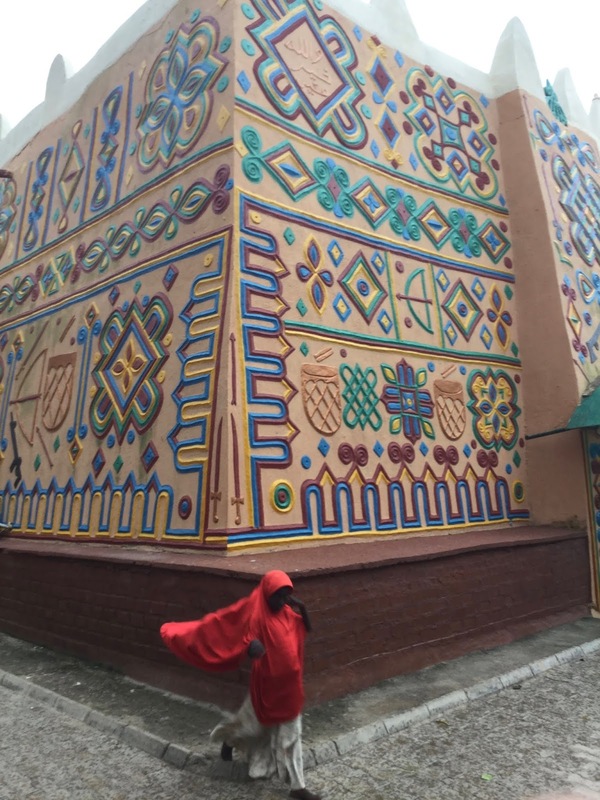 When that is done and publicity is given to it, lots of tourist will flock Bauchi. 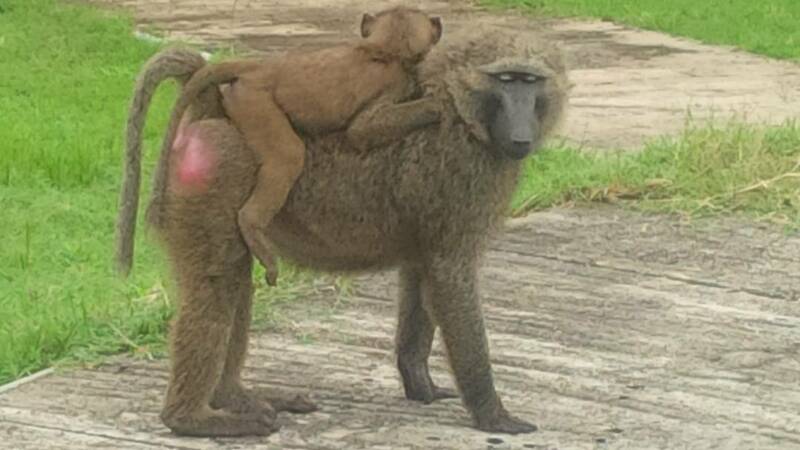 Sumu is a huge tourism potential and I hope the government or private investors will make it a home a tourism for all. This is beautiful. Seem like a great place to be.